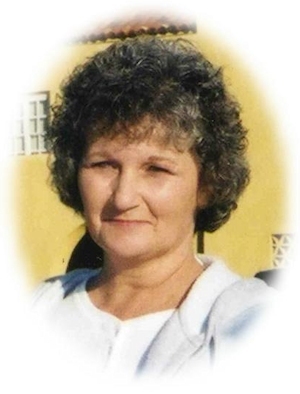 Obituary – DeRoin, Deborah Ann (Rupp) « Perry High School Alumni Association, Inc. Band 9; Pep Club 9,10; Thespians 10; FHA 11; Music Club 12; Christmas Vespers 12. Deborah A. DeRoin, 54, of Yukon, Oklahoma, was the daughter of Donald Ervin and Lois Wilson Rupp. She was born May 4, 1952 at Perry, Oklahoma and passed away Friday, June 16, 2006 after a brief battle with brain cancer. 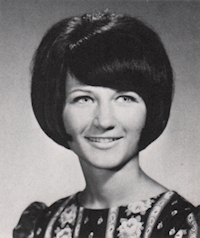 Deborah was a 1970 graduate of Perry High School. She and Garwin DeRoin were married July 2, 1971 at Perry, Oklahoma. She had worked as a caregiver in home health care and enjoyed making crafts. In addition to her husband, Garwin, Deborah is survived by one daughter, Heather Perez and her husband, Edwin, of Yukon, Oklahoma; one son, Jeremy DeRoin, of Yukon, Oklahoma; one granddaughter, Hanna Perez, of Yukon, Oklahoma; one brother, Mark Rupp and his wife, Stephanie, of Perry, Oklahoma; one sister, Deanna Rupp, of Perry, Oklahoma; three nephews, Ladd Rupp and Devin Briegge, both of Perry, Oklahoma and Joey DeRoin, of Harrah, Oklahoma; one niece, Savannah Rupp, of Perry, Oklahoma; brother-in-law and sister-in-law, Joseph and Irma DeRoin, of Harrah, Oklahoma; and mother-in-law, Daphne DeRoin, of Harrah, Oklahoma. She was preceded in death by her parents and one nephew, Dane Briegge. Funeral services will be at 2:00 p.m. Tuesday, June 20, 2006 at Zion Lutheran Church, east of Perry, Oklahoma. Rev. Craig Groseclose will officiate. Interment will be in the Zion Lutheran Cemetery. Services are under the direction of Brown-Dugger Funeral Home of Perry. Memorials may be made to the Hanna DeRoin Perez Scholarship Fund or the Oklahoma Hospice in care of Brown-Dugger Funeral Home, 1010 N. 7th Street, Perry, OK 73077.